The Turkish government has launched groundbreaking restrictions on plastic bags, which came into force on January 1st. While positively affecting trade balance and environment, the new regulations unearthed critical strategic deficits in the Turkish plastics industry. An urgent call for innovation and the concept of circular economy. Turkey is one of the biggest consumers of plastic in Europe, while being also one of the largest net importers (likely to remain so considering the most recent STAR refinery expansion). 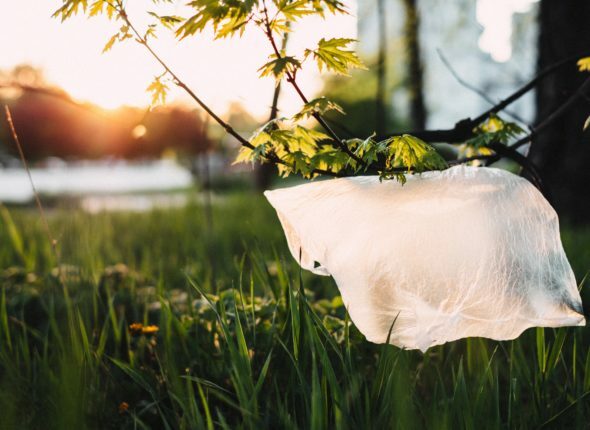 With 440 plastic bags per person per year compared to 15 to 25 in some European nations, Turkey has a significantly higher consumption resulting in adverse effects for the environment and natural resources. Both aspects – reduction of trade deficit and a better environment – are a strong argument to back the decision of the Turkish government. Trade deficit reduced, environment saved – all fine? However, there are critical aspects to be considered. Most plastic bags manufacturers are SMEs, which now are facing the challenge of a drastic drop in demand. It is expected that at least in the short-term this will result in excess capacities in the sector. These consequences can be partially balanced through a major support program for the SME sector offering subsidies and easier access to loans, which the government has announced (also effective as of 1st January 2019). However, this initiative will only be effective if used by the SME plastic bag manufacturers as a window of opportunity to rethink their business. But it is important to broaden the scope. The plastic bag experience can serve as a valuable learning for the whole Turkish plastics sector. Despite the fundamentally strong conditions for manufacturing in Turkey, considering the huge home market and its competitive advantage compared to the surrounding markets, the plastics sector has not succeeded to deploy a strategy based on innovative products. In particular, the import balances on plastics reveal that the market relies on commodity applications with little exposure to engineering plastic or HTPA segments. This might be the result of local circumstances such as the high import ratio of raw materials, fragmented manufacturing base, and limited R&D investments. Overall, the move to stricter regulation of the use of plastics bags is a welcome decision. From my point of view, the Turkish plastics sector should set up an innovation agenda with reasonable and meaningful milestones. Among others, a plan for promoting renewables and biodegradables, a demand pattern shift driven by e-mobility, tackling the challenges posed by plastics, and a research agenda on the use of plastics in the circular economy would be beneficial. During my assignments as a consultant in the plastics sector in Turkey, I have witnessed that the energy to push things forward under the most difficult circumstances is abundant. Being at the crossroads of East and West, the Turkish plastics sector has potential to be a much more active player. Will they take the opportunity though?